David Sánchez begins his description of Carib with this narrative describing his intent and story behind the recording, setting the tone both figuratively and literally. 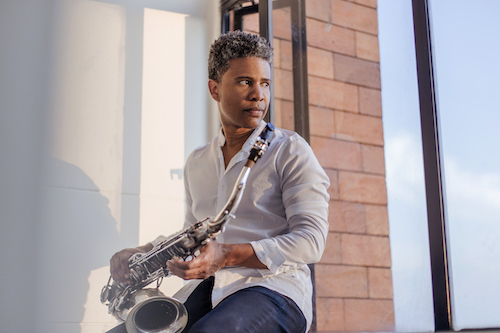 It would be easy to get lost in his commanding performance on the saxophone; he handles the instrument so naturally it feels like his native language. And yet there is so much more, and we welcome the continuation of the story of the African Diaspora, this time with specific attention on Puerto Rico and Haiti. We have much to learn about how African music has traveled over centuries, and documenting the journey falls short when we use only words. This is an ongoing and fluid narrative presented for us all to learn and grow. Carib is set for release on June 7, 2019 via Stretch Music and Ropeadope, with early listen and preorders beginning on May 3rd. David just finished a run with The SF Jazz Collective, and will return to New York on June 6 - 9 at The Jazz Standard. Look out for David’s music in the indie film Windows On The World, now screening at film festivals throughout the US.